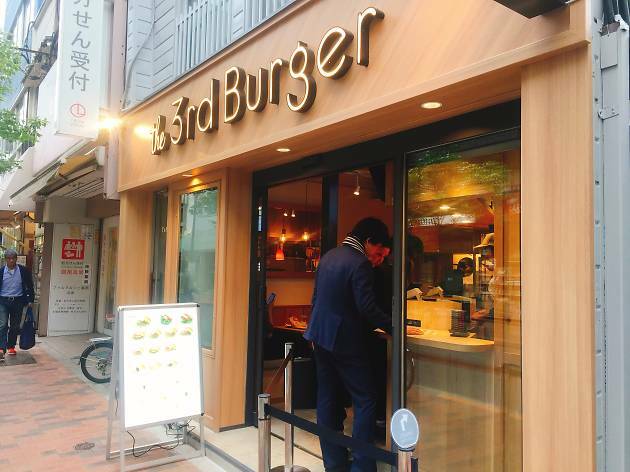 Semi-health conscious burger chain 3rd Burger is making steady process across the city, with this Hiroo outpost being its sixth location so far. These guys serve up patties minced from fresh meat (no freezing allowed) and buns are free from additives and preservatives. 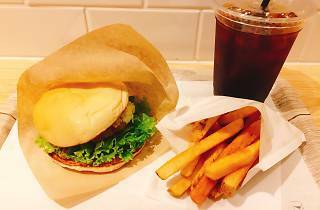 Each burger also comes laden with organic veg, including unorthodox toppings like avocado and wasabi. 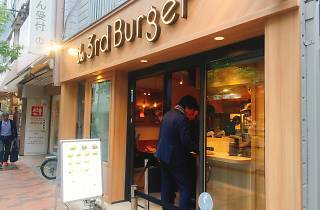 Their eponymous 3rd Burger (¥594) is topped with marinated vegetables and housemade tartare and tomato sauces, and is best washed down with a 3rd Smoothie (¥530), made from mustard spinach, banana and apple. 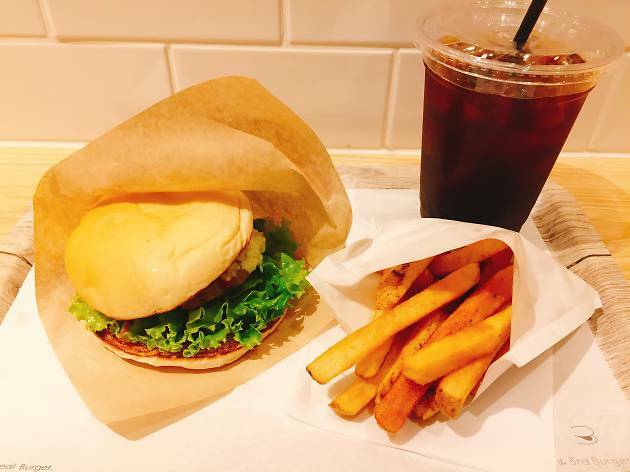 On our visit, we found the burgers themselves to be cheap and cheerful, although even a small set may not fill you up completely if you're hungry. It may be worth shelling out a tad bit more at neighbourhood rivals Homeworks or Burger Mania to get that proper greasy burger feel, but if you're content with a quick snack on the go that will make you feel less guilty than the two golden arches, then head to the 3rd. We'll certainly keep popping by for their smoothies.